With its tradition of uncompromising integrity in the service of its clients, Kleansley Hygiene Plus Limited has become a standard of success in the business of environmental management- Cleaning and Hygiene Solutions. 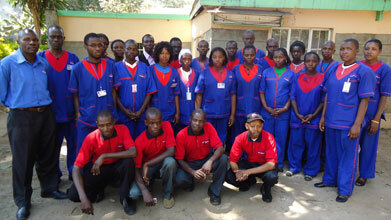 Kleansley Hygiene Plus Ltd is an emerging leader in the world of cleaning and integrated hygiene solutions. The company provides creative and practical solutions in Environmental Maintenance and Management. The top class innovative materials, cleaning techniques and strict quality controls ensure this. 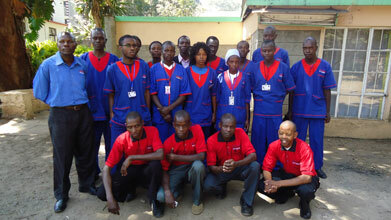 Our most important asset is comprised of people behind the provision of cleaning and hygiene services. While giving you the best professional advice, we listen carefully to your ideas and respect your needs. Added to the above you have the assurance of the courteous, personalized and efficient services of Kleansley Hygiene Plus Limited. At Kleansley Hygiene Plus Limited, we pledge to adhere to the highest standards of performance, reliability and discretion, while providing our clients with unrivalled performance and uncompromising confidentiality. At Kleansley Hygiene Plus Limited, our clients receive the highest level of personalised, expert service with absolute confidentiality. Our solid tradition of commitment to this pledge has made Kleansley Hygiene Plus Limited a trusted partner to individuals and institutions. Our mission is to improve the performance of our services by focusing on better quality, which in turn leads to satisfied customers. At the same time we will vigilantly aim to execute environmental management more effectively, at lower cost. The entire company is committed to improving and achieving high standards of work, so that Kleansley Hygiene Plus Limited can offer top quality service and consistent value and satisfaction to the client. To exceed the expectations of each and every client whose cleaning and hygiene solutions is our primary purpose and mission. To challenge problems and solve them with creativity and innovation. To hold integrity and honesty as our most important values and perform at the highest ethical standards at all times. To treat each other, our clients and our partners with respect and dignity. To create synergy by forming strong partnerships with those who share our values. To establish standards of excellence which exceed the benchmark of international industry practices. To apply quality leadership and management principles to foster continual employee development. To achieve a competitive return for our investors. To strive for continuous improvements in everything we do. We serve over 20 brands and companies in the East Africa region ranging from Small Businesses, Educational Institutions, Real Estate, Financial Institutions, Goverment Parastatals, International Organizations and Corporate Insitutions. Our strength has always been our ability to adapt to change, and often to anticipate it. We offer leading edge products and services that reflect market changes while responding to our clients’ needs. For the proper performance of every task, the staff are required to understand the procedure of its performance as well as the standards they ought to achieve. We have well documented procedures and standards for each task. Employee performance is regularly assessed on the basis of these standards. For the period of its being Kleansley Hygiene Plus Limited is renowned for quality and solid reliability. Satisfied customers ensure tomorrow’s success. Constant and strict production controls ensure the high quality standards. At Kleansley Hygiene Plus we recognize the importance of quality management. As an integral part of the smooth running of any contract we endeavor to provide Value Added Customer Service. While giving our clients the best professional advice, we listen carefully to their ideas and respect their needs. We also propose frequent follow-up meetings between ourselves and the customer’s appointed representative. We have a designated on-site supervisor / station-in-charge who is responsible of on-site supervision of our employees at all times. 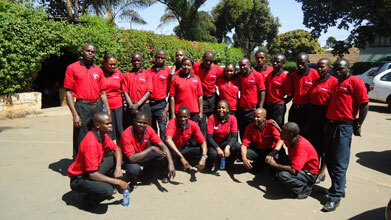 The site supervisor acts as the focal point for the company and is the point of contact with the clients’ personnel. At Kleansley Hygiene Plus Limited the performance standard is that we receive no more that one valid customer complaint per customer per month. Once a valid customer complaint is received, the policy is to rectify it immediately. At Kleansley Hygiene Plus Limited supervision is at the heart of our service provision. We realize that proper supervision of our employees’ performance leads to high quality service and thus satisfied customers. We have a designated on-site supervisor/station-in-charge who is responsible of on-site supervision of our employees at all times. 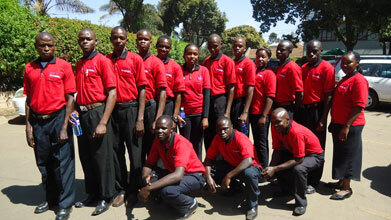 The site supervisor acts as the focal point for the company and is the point of contact with the clients’ personnel. On a daily basis the manager visits all the sites and notes any problem and or customer complaint and resolves the same to his capability and notifies the line manager on the same. Every once a month, the manger together with the site supervisor evaluates staff performance and prepares an appraisal report fore each employee. At the end of the year an annual appraisal is prepared. Depending on the performance during the year an employee of the year is identified and awarded accordingly. At Kleansley Hygiene Plus Limited we believe in being the best in the industry. Therefore, we regularly compare our services with those of International Standards. In so doing, we are able to learn what others are doing to provide quality services while gauging our standing in the market.